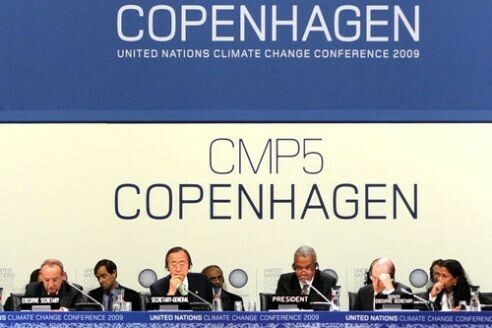 Prior to Copenhagen, advocates of the US cap and trade legislation were arguing that although its ambition was likely to be low, the best strategy was to get it through the Senate and then aim to strengthen it. The chances of passing a US climate bill with an economy wide emissions cap this year, however modest, now appear to be fading. Senator Lindsey Graham, the Republican sponsor of the bill who as such is critical to its success, was quoted in the New York Times as saying ‘Realistically, the cap-and-trade bills in the House and the Senate are going nowhere.’ Mr Graham believes that Americans favour a focus on jobs, either from clean energy or new oil exploitation, over a punitive emissions cap that forces up energy prices. A recent poll conducted by Frank Luntz, a political adviser more often associated with the US Republican Party and Fox News, further confirms the view that voters respond better to climate change policy if it isn’t framed in environmental terms. There’s a useful spreadsheet on CAN US’s website for keen followers of who’s in and who’s out of the Copenhagen Accord process. The 31 January deadline for sign on now appears to have been shelved. The American People – climate sceptics or climate policy supporters? A new poll from the Brookings Institution has caused some anguish amongst environmentalists, as it shows evidence of an increase in climate scepticism in the US in the wake of the Climategate controversy. In fact, things are not that bad – the proportion who think there is no solid evidence for warming has increased by only 3 percentage points. Despite their depiction in Europe as anti-scientific irrational nuts, a good two-thirds of Americans still do accept the science, according to the survey – surely a comfortable majority. Political Climate is limbering up just as the very odd Copenhagen Accord process is reaching its first milestone; the listing of countries that wish to associate themselves with it and the filling in of the curiously sparse appendixes I and II, due by 31 January 2010.